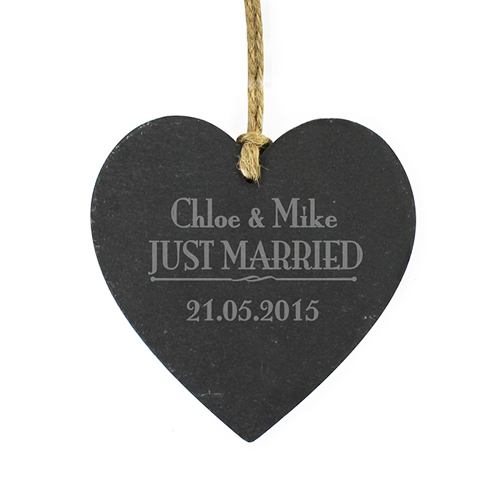 Personalise this Slate Hanging Heart for a newly married couple with 2 names including an '&' or a surname using up to 20 characters and one line of 10 characters for a date. The design features the fixed text 'JUST MARRIED'. The heart has a piece of natural, rustic string which enables this item to be hung up. Personalise with 2 names including an '&' or a surname using up to 20 characters and one line of 10 characters for a date.